Mary Louise Wise, 77, of Hardeeville, SC passed away Tuesday, March 26, 2019 at the Medical University of South Carolina in Charleston. She was born on April 28, 1941 in Savannah, GA to the late Arthur and Nancy Rowell Pierce. Mrs. Wise retired from Aramark Service in Savannah, GA. She enjoyed sitting on her porch, reading Harlequin romance novels. 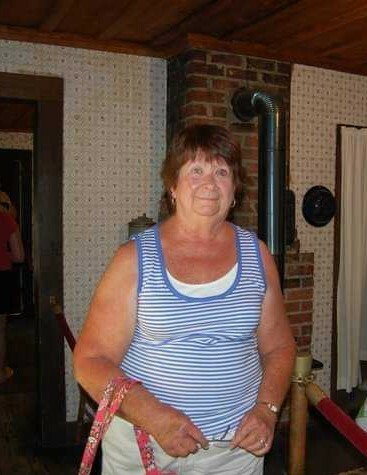 Mary was a loving, sister, wife, mother, and “Mimi” to her grandchildren and great grandchild. Left to cherish her memory are her husband, Wallace Wise; two sons, Eddie Wise and Rick Wise (Christy); one daughter, Sandy Dixon; one sister, Doris Benson; four grandchildren, Josh Wise, Christian Wise, Christopher Dixon and Nicholas Wise; and one great granddaughter, Victoria Burns. A visitation will be held from 6:00 pm – 8:00 pm, on Thursday, March 28, 2019 at Vaigneur Funeral Home. Funeral services will be held at 11:00 am on Friday, March 29, 2019 at Vaigneur Funeral Home Chapel, 6802 Tillman Road, Ridgeland, SC. Interment will follow in Purrysburg Cemetery, Purrysburg Road, Hardeeville, SC.